AFTER nearly five hours on court, world No.1 Rafael Nadal and rising challenger Dominic Thiem had exhausted their tanks. 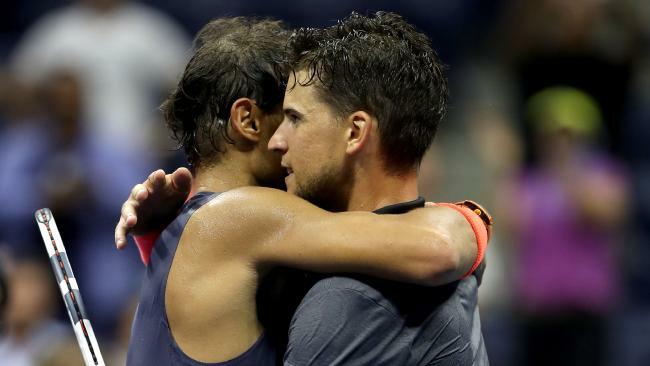 There was nothing left to give and, when a sprayed overhead smash from Thiem sealed Nadal's epic 0-6 6-4 7-5 6-7 (4-7) 7-6 (7-5) US Open quarter-final victor on Wednesday, Nadal's reaction spoke volumes of his character. There were no tears. He didn't collapse to the ground in victory. Instead, after a subdued celebration, he briskly walked to the other side of the net to console his vanquished rival and offer a word of encouragement in a friendly embrace. Thiem, who had also tasted defeat against Nadal in this year's French Open, is a rising star of the game who has been on the wrong side of the Spaniard's warrior-like tenacity. And while the brutal straight sets thrashing at Roland Garros would've hurt, there was a belief this defeat, especially after his flawless first set, would've stung even more. So Nadal chucked an arm around his friend. "I'm very, very sorry," Nadal revealed he'd said to Thiem as they embraced. "You are good - keep going." The king of clay and the surface's rising star have developed a close bond on tour and Nadal's empathy was clear. "To be honest, I am very, very sorry for Dominic," he added. "He's a close friend on tour. He's a great guy, a great player. I just wish him all the very, very best." What is clear is that Thiem has a fighting spirit - and the weapons - to challenge for grand slam titles in the immediate future. With the great trio of Nadal, Roger Federer and Novak Djokovic continuing to feature at the back end of the grand slams, the tennis world has been waiting for the next generation to take over - and Thiem put his hand up to be recognised as the most willing of the 25-and-unders. "He is young. He has plenty of time to win big tournaments," Nadal said. "He has everything now. He's a fighter. He has a great attitude. "That's the most important thing. He's a very well-educated guy. Top person. "I'm sorry for him but I'm sure he'll have his chances in the future without a doubt." 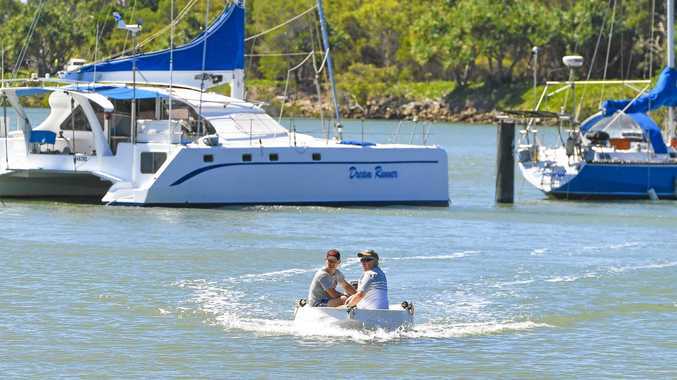 News Find out what type of boats are the most common in accident claims.